"I am so thankful for your website!!! I am amazed I just got back from my dentist and was told my receding gums have gotten better !! I was suppose to visit a periodontist but now I don't have to. 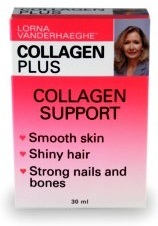 I just referred the product Collagen Plus 30 ml and your website to my dentist who asked for it." Collagen Plus is a completely different product than Biosil. It does NOT contain choline-stabilized orthosilicic acid.